If you are from the South…you know and love velvet cakes. 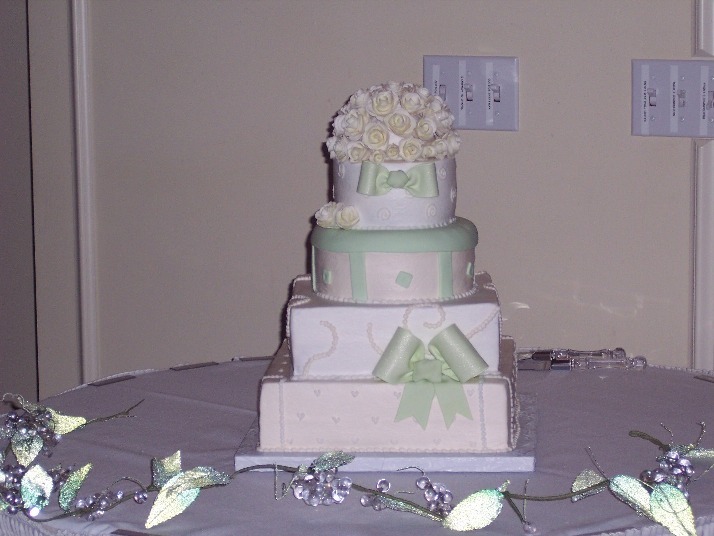 Yes, I did say velvet cakes….meaning they come in just about any color you choose. A literal rainbow of velvet cakes. My Mother made a red velvet cake every Sunday for the longest time…. (I really can’t remember when she stopped making them on a continuous basis) but because it was all about the texture and not the color for her…her cakes were more of an auburn color. What makes a velvet cake different from any other cake is the texture. And it is a bit difficult to describe. It has a rich density and yet it is a bit fluffy…sort of like a silky sponge melting in your mouth. Oh well, I shall push on…. The reason the cake has a velvety texture is the additions of a combination of buttermilk, baking soda and vinegar as the leavening. The buttermilk is an acid and when combined with baking soda (which is more alkaline) causes a reaction of bubbling up…forming a carbon dioxide gas which in turn leavens the cake. This was the method used before the invention of baking powder…which pretty much does the same thing. Well, I hope so because no matter what color your velvet cake is….it is still a delicious Southern cake. The color should be tasteless…I have heard some say they can taste the food coloring, which is why I use the AmeriColor food gel pastes…they are tasteless and odorless. When Mother made her red velvet cakes (or should I say auburn colored cakes) she used very little food coloring. The choice is up to the baker. The other key to a velvet cake is mixing the coloring into the cocoa powder. The brown chocolate and the food coloring make a vibrant color…no matter what your color choice is. Sigh! Remember I am the romantic and I think romance when ever I make a blue velvet cake! I have also included a white buttercream frosting for your blue velvet cake. When the Captain and I were looking at wedding cakes…we came across this little shop in Claycomo, MO called Nellie’s Custom Cakes. I talked with Nellie at length on all types of frostings…and she of course gave us taste tests and a few tips on icings which I am passing on in the recipes! Ultimately, the Captain and I chose fondant for our wedding cake layers…as the four layers were shaped like presents with a cluster of white roses on top and wrapped with a big bow! Thanks Nellie…for a beautiful cake that we will remember always! If you would like to check out Nellie’s website…the address is below. Meanwhile, make this blue velvet cake or a red velvet cake or a white velvet cake or a orange velvet cake or a…well, you get the picture! Enjoy the printable recipes below! This cake tastes very good as does most cakes....the difference with this cake is the beautiful blue color! This color is much like the red velvet cake in it's intensity. The secret is to use the gel paste food coloring. You can achieve the blue with other food colorings...but I prefer the vibrant blue! 😉 I once made a red velvet cake layer with a blue velvet cake layer and finally a white layer cake layer...while it was pretty, I prefer doing a complete blue velvet cake, red velvet cake and ok why not/ A white cake for any red, white and blue Holiday! Yep, that is a lot of cake...but for a Holiday...they are a great colorful dessert. Top with a white...(yes I did say white) buttercream frosting...and you have a beautiful cake. The secret to a white frosting is clear vanilla and using a stand mixer....The recipe is in my recipes under the category pies and cakes. Add to the colored paste to the creamed ingredients, blending well. In a small bowl combine the baking soda and the vinegar and blend gently into the cake batter. I use the gel food coloring ...you can purchase in your supermarket or hobby shop. Here in Florida, Michael's and Hobby Lobby carry the Wilton gel. I prefer the brand Americolor but whatever you prefer will do. The secret to a white buttercream frosting is to use clear vanilla and to use an electric mixer on high after each additional cup of powdered sugar. When the Captain and I were picking out wedding cakes...we went to a wonderful shop called Nellie's Custom Cakes. Nellie was kind enough to share a few of her methods on frostings...especially white frosting. However, we chose a fondant to top our layers of cake....and the result was fabulous! Thanks Nellie! Add powdered sugar, 1/2 cup at a time. Now add your liquid of choice (I use half and half) and beat until the frosting has reached the desired consistency. For a stiffer consistency, keep adding powdered sugar in 1/4 cup increments. For a more spreadable frosting add more of the half and half or your choice of liquids...one tablespoon at a time. This allows you to "test" for the desired consistency. I’ve eaten the red velvet cake, and it’s delicious. It usually comes with cream cheese frosting, but I use a butter sugar frosting for my sugar cookies. My grandmother always fixed angel food cake for me on my birthday because it was my favorite cake when I was young. Smile! Grandmothers are so cool aren’t they? I love cakes of any kind….unfortunately, my hips show it! haha!